Instituted: 2 November 1930 by Emperor Haile Selassie I. 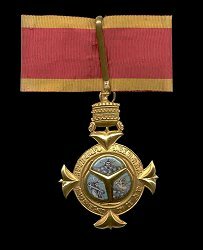 Awarded: For outstanding service to the Crown, civil or military, including that rendered by foreigners. 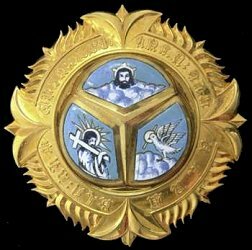 Grades: Originally 5 (Knight Grand Cross, Grand Officer, Commander, Officer and Member) but now awarded as Grand Cross or Grand Cross with Collar only. 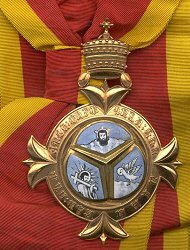 Post-nominal letters: GCHT (GCHT* if awarded with Collar).